The more information you will provide about your products to Google, the better your feed will be. 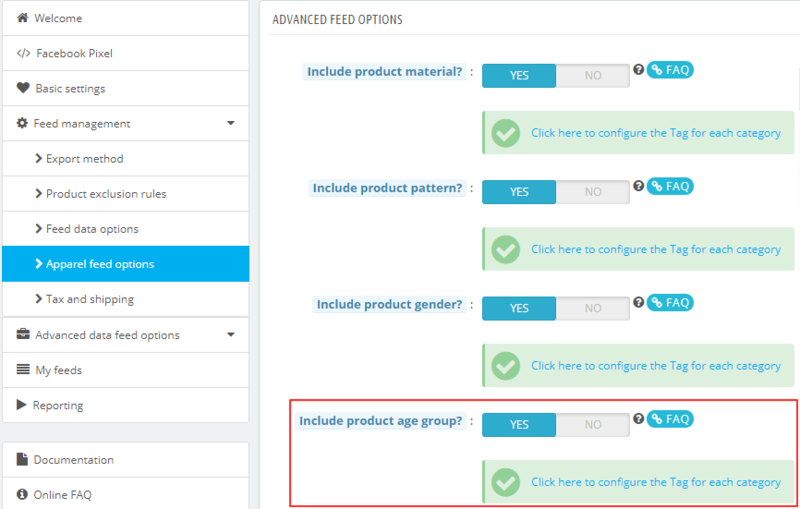 The "age group" attribute in Google Merchant Center is usually reserved to apparel and it's why its configuration in the module is available in "Apparel feed options" tab in "Feed management" section. However it can also be applied to a product that is specifically made for kids or for adults. Finally click on "Modify" and don't forget to save the "Apparel feed options" form.